It took Caley Mackenzie ’10 four years to earn a bachelor’s degree in English education and two months and 3,000 miles to know that she wanted to put it to use teaching outside the walls of a classroom. While at Westfield State, Mackenzie was actively involved—participating in the national English honor society Sigma Tau Delta, traveling to Haiti to teach English to high school boys, and volunteering with the local chapter of Habitat for Humanity. After graduation, she moved to New Mexico to teach students in a classroom setting on the Jicarilla Apache Reservation. She was working in a very low-income area of New Mexico and saw firsthand how many families struggled with housing and food insecurity. “I got to listen, and that was probably the most important lesson I had,” she says. After two years in the reservation classroom, in the summer of 2011, Mackenzie traveled with Bike and Build, a program that combines cross-country bicycling with volunteering with Habitat for Humanity chapters. That summer, she biked about 70 miles a day from Providence, R.I, to Seattle, W.A. About once a week, she and the other program attendees helped build houses, partnering with roughly 10 local Habitat chapters across the country. “It was an eye-opening experience. We met the families who were going to move into these houses,” Mackenzie remembers. “It made me realize that life was too short to do anything other than what you love.” This epiphany taught Mackenzie she wanted to continue working outdoors. She still wanted to teach, but not in the confines of a classroom. Mackenzie moved to Yellow Springs, Ohio, in 2012 to work at the Glen Helen Outdoor Education Center as an educator and stayed for two years until she found her way to Saco, Maine, to be near the ocean and the coast. She worked as an ecology educator at The Ecology School in Saco, teaching small groups of children about different ecosystems out in the wild, with the world as her new classroom. She took students to salt marshes, oceans, tide pools, and forests to show them how humans are connected to these ecosystems and teach them how to be stewards of the earth. 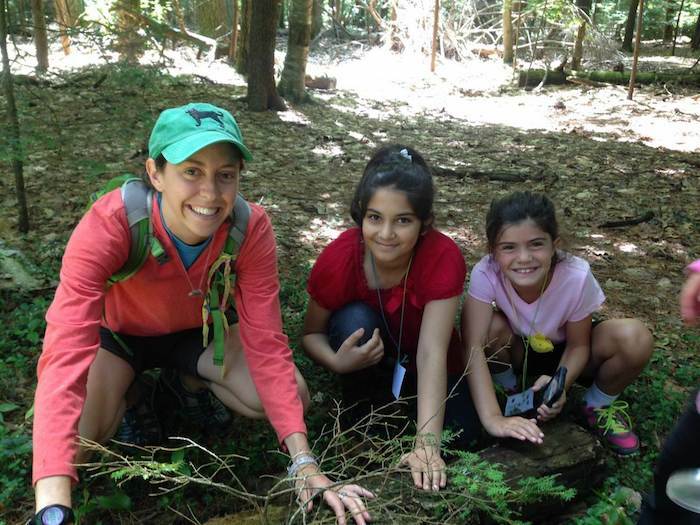 Mackenzie now holds an administrative role at The Ecology School, helping to create residential programs by training educators, and helping them implement the School’s mission in its lesson plans. “I’m not a high school English teacher like I thought I was going to be, but I can continue to help the next generation through ecology and teaching about the importance of caring for our world,” Mackenzie says.